…Another reason Cooder didn’t tour is that in middle age he felt he could no longer perform many of the songs he had recorded when he was younger. Some of them had relied on a jauntiness he no longer felt. He backed up Neil Young on Young's first solo album. Many of the guitar licks were his, not Neil's. 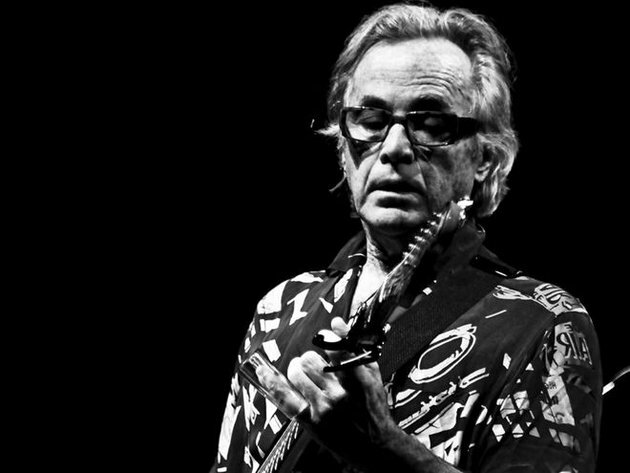 not appropos of Ry Cooder, it's amazing how much big-name artists make doing concerts. Forbes just put out its list of top-earning musicians last year: Madonna $125 million, Gaga $80m, Bon Jovi $79m, Toby Keith $65m, and Coldplay $64m - mostly from concerts. That's serious bread. ARod's not helping his case by walking out, but I can understand his frustration that Selig doesn't have to explain the rationale for the 211 game suspension. Has anybody from MLB been asked to explain that during the hearing? thanks. Sheesh. Amazing how night and day Jeter and Arod ended up being. One guy can do no wrong, the other can do no right. Friend of mine had a therapist that would be berate him with a refrain... went like this, "Mr. Rodriguez... Never missing an opportunity, to miss an opportunity." Been hearing good things about this new Cooder live album. I will have to check it out. His early 70s lps are tremendous. Yeah, I understand the entitled cheat's frustration too. All his career Alex has cheated and gotte away with it as MLB looked the other way, now they are suddenly holier than thou and forcing him to accept his well deserved punishment. 9) I hear you but the 211 games in question is arbitrary and ridiculous and MLB looks bad, if not worse than Rodriguez. Rodriguez is a self-deluded man. As for entitled cheats, well there sure are a lot of them out there, and many who we don't know about publicly. 10) oh, and I just put up a post on the Rodriguez-Selig thing above. Let's not sully Mr. Cooder with this craziness, shall we? Ry-Cood, A-Rod, weird thread, man.